It is not time to panic, but don’t kid yourself, all is not well. Parental obligations and client meetings this afternoon preclude me from the usual Marquette University rapid reaction video. But after getting grief from folks (who knew you cared? ), I will take a minute to offer a brief perspective on the results. Biggest takeaway is that while Republicans should not panic, many need to adapt and overcome. Three big things: 1, the Right Direction/Wrong Track numbers have a bad trajectory 2, there is a growing enthusiasm gap with Democrats more jazzed about the election than GOPers. And, 3, Despite six months of record unemployment in Wisconsin and a whole host of other good news, the mood of the electorate here is mirroring that of the national polls. That is, the traditional mid-term hangover for the party in power has emerged. The question remains, of course, will things get better or worse over the next 49 days. Leah Vukmir is clearly feeling the after effects of a bruising primary, one that pushed her so far to the right it pushed moderates and independents into Baldwin’s camp. The National Club For Growth strikes again! Governor Walker, as he himself predicted, is now behind Evers. The Evers campaign received a post-primary boost and the Governor is suffering the triple whammy of mid-term funk, voters having 2-term incumbent fatigue, and a complacency that often accompanies prosperity (The public doesn’t clamor for tax cuts when the economy is booming; in fact, they are more willing to tolerate the increased social services spending that Democrats promise). Polls are only a snapshot in time and a lot can happen in 49 days. But there isn’t a moment to waste, it is time kick it into gear. However, the problem with bad poll numbers is that they can impact donor and grassroots enthusiasm. Republicans up and down the ballot need to prevent that, first and foremost. And, a bit about the President. This poll is not all about him. Generally, President Trump’s positives do not seep down the ballot, but his negatives always have. That has never been so evident in Wisconsin as it is in this poll. His unpopularity with college educated white women and independents is really hurting both Vukmir and Walker. (And, I suspect legislative Republicans may be seeing the same impact on their polling, by the way). No candidate will write off that demographic, and they do have good things to talk to them about, if they so choose. They need to! In fact, in many policy areas the GOP candidates have great stories to tell all of Wisconsin. They need to find the right storytellers, and the undecided / leaning ears willing to give them a listen. The Wisconsin GOP’s fate is in their own hands. They are not tied to the fortunes or misfortunes of President Trump. But the grassroots and the donors need to step up. As do the candidates. County party and regional offices need to start humming 14 hours a day. Callers need to call. Lit droppers need to drop. Donors need to donate. Leaders need to lead. It’s going to be a grind. So be it. Oh, as for my client Brad Schimel? Well, his take on his favorable numbers can be found, here. 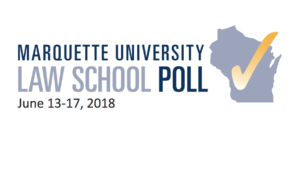 MU Law School Poll September results, here. 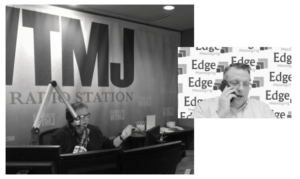 Brian and Dan discuss the latest Marquette University Law School Poll results. 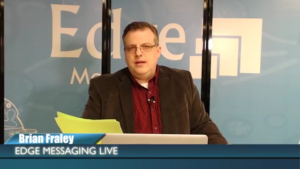 Edgecast-08-22-18 from Edge Messaging on Vimeo. 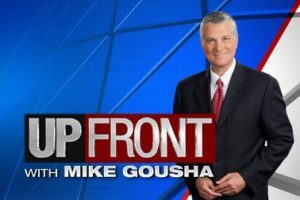 I had the pleasure of joining Mike Gousha on his weekend political show, Up Front, to discuss the state supreme court race. 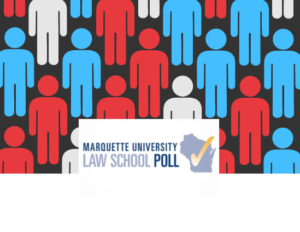 The new Marquette University Law School poll out today had some interesting results. 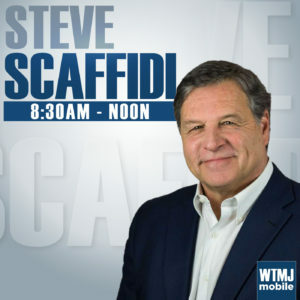 I broke it all down during a Facebook Live including the findings on Foxconn, President Trump, Governor Walker, Senator Baldwin and more. 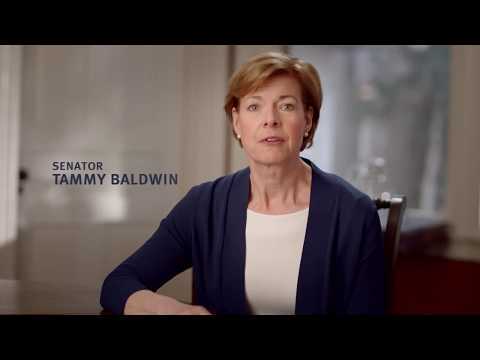 Lisa Manna interviewed me for our latest EdgeCast about Sen. Tammy Baldwin releasing two new ads today. 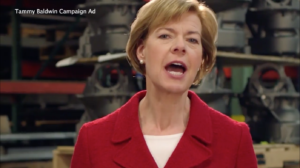 We break down the ads, including the overall messaging strategy of the incumbent Democrat as we forecast the next few months of the race.